We ask you to send a Gift of Support and encourage others to financially support our mission! Please join us in this Quest! 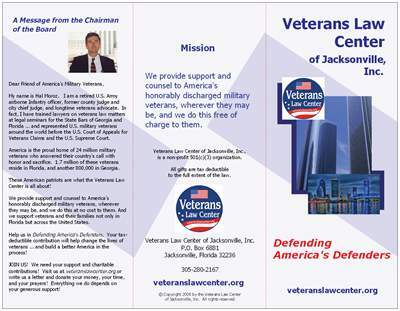 You can be part of the excitement and growth of the Veterans Law Center through your tax-deductible contribution. © Copyright 2015 by the Veterans Law Center, Inc.